Forest School: An inspirational learning event which takes place on a regular basis in woodlands with a qualified leader. Activities include bushcraft, dens, fires, cooking and foraging for wild food, bug hunting, games, adventures, songs, story activities, nature watch. Outdoor Learning: group and individual development using the outdoors as a learning environment. Team building, INSET days, leadership development, bushcraft, training teachers in outdoor actvities and learning methods. Solution focussed, flexible, inspirational. Summer Holiday Forest School sessions for children 0-12 yrs (accompanied by adult) 28th July, 17th August, 31st August 2-4pm each day, Ashdown House National Trust Estate, RG17 8RE. 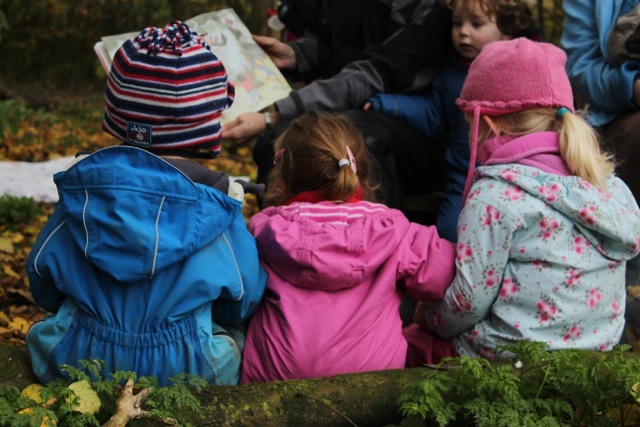 Book your own Forest School Sessions in Highworth, Wiltshire. We have our own Forest School site at Highworth Community Centre, The Dormers, Highworth, Wiltshire SN6 7PE www.highworthcommunitycentre.co.uk where we can provide leaders and a variety of activities, for a long term or short term programme. The site has woodlands, pond dipping and meadow areas ripe for insect netting, a campfire, shelter for inclement weather and a field for kite making and flying and free parking and toilets! Hi, I hope you enjoy our site. Our woodland play site has information mainly on children's programmes. Our www.brightwoodtraining.com site has all the latest on our training courses, so head over there! When we started out small in 2009 we didn't realise how well everything would go, so we've had to get a new bigger and better webpage! Know someone who would like to try a session? Buy a gift voucher of one or more forest school sessions from £5 a session (can be redeemed on any date). Email info@woodlandplay.com and I'll send you a special printed gift voucher to an address of your choice. Traditional skill & craft days for adults in local woodland. Bow & arrows, shelter building, lighting fires in the outdoors, cooking over a campfire, willow weaving & craft - the sky is the limit! Practitioner Training days in outdoor learning 1 - 5 days tailored to suit you or your group. Please contact info@woodlandplay.com for details. About me: I am a Trustee and Member of the Forest School Association and Institute of Outdoor Learning. I hold a Masters Degree in Outdoor Development Training and am a qualified Forest School Leader and Mountain Leader. I have 14 years experience in training and learning working with adults, organisations and children. I am insured, advanced CRB checked and hold an Outdoor First Aid Certificate. I have successfully worked at SSSI sites using a low environmental impact approach. I can help you find your own woods to use and help secure grants to fund Forest School programmes. Much of my work is used for research into outdoor learning.